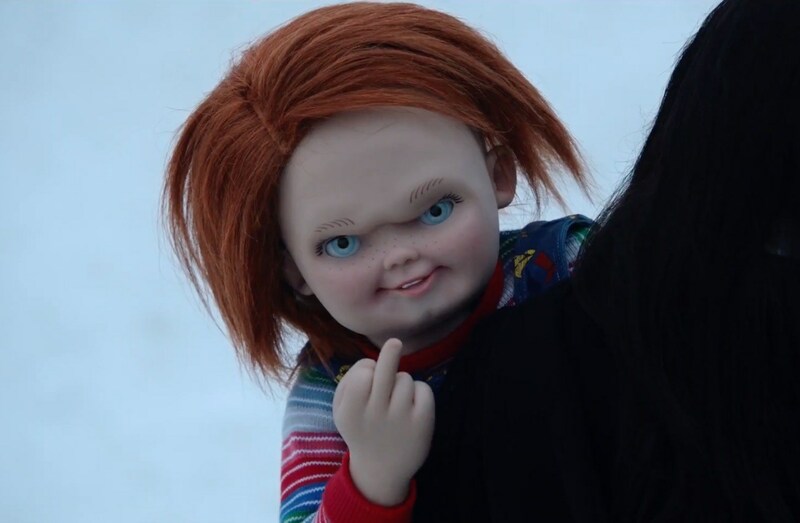 You may not know this, but Chucky, the red headed doll inhabited by a serial killer's soul thanks to some magic, had a bit of a comeback a few years ago with the straight to video release of Curse of Chucky. Believe it or not, after a string of really terrible Chucky films writer/director Don Mancini actually recaptured some of the magic that made his original trilogy somewhat creepy. He couched Chucky in a haunted house slasher, rampped up the quality kills, and delivered a screenplay that was less camp and more horror. Plus, he ditched most of the history of the series, basically rebooting the thing. So I was actually a bit excited when Cult of Chucky was announced. I figured the franchise would continue on in its newer style, happily losing its continuity and fully embracing the fact that a chunk of the Chucky films sucked so we really don't want to revisit them in any way. What we want, I thought Mancini understood, was a creepy doll saying inappropriate things while killing people. One would think a request like that would be child's play, right? Remember all the classic characters that aren't Chucky from the Chucky films? Like Andy (Alex Vincent), the little boy who Chucky terrorized through three films. Or maybe Tiffany Valentine (Jennifer Tilly... yes, that Jennifer Tilly), Chucky's one time doll bride who isn't a doll anymore. No? How about that extra in the background of Child's Play 3. You know the one. Still no? Well, tough, because they're all back now under the assumption that everyone still cares. After the events of the last film the wheelchair bound Nica Pierce has been committed to a psychiatric ward where she is convinced by a sketchy doctor that she murdered her entire family and Chucky was just made up. Of course she's not actually insane and Chucky, through a series of nonsensical events (and I'm talking nonsensical for a film about a serial killer doll) arrives at the hospital to finish the job. Except this time he's got the power to jump into anyone's body including the multiple Good Guy dolls that happen to turn up throughout the film. The real problem with this movie, aside from the fact that it's kills are tepid and there are no real scares, is that it assumes that there is actually a cult of Chucky out there. By that I mean it plays out like there's some rabid fan base who has been chomping at the bit to see these characters return and have some sort of conclusion fleshed out for the series. Maybe there is and I just don't know about, but Mancini writes and directs the movie like everyone cares deeply about these people coming back when all we may kind of be interested in is Chucky going on a killing spree. Thanks to this absurd assumption the film is full of dialog and exposition and completely lacking in the two things that make a Chucky film enjoyable: good kills and god awful Chucky one-liners. While there is some blood and gore flying around the screen it never gets all that creative or scary. A sequence in which Chucky rips out a willing woman's tongue is possibly the only unique kill, and it just feels more awkward than anything else. Instead we get some weird sexual assault stuff between Nica and her psychiatrist, Jennifer Tilly randomly popping up every so often, and a finale that leads one to believe that another film is coming, but Chucky might not be in it at all. 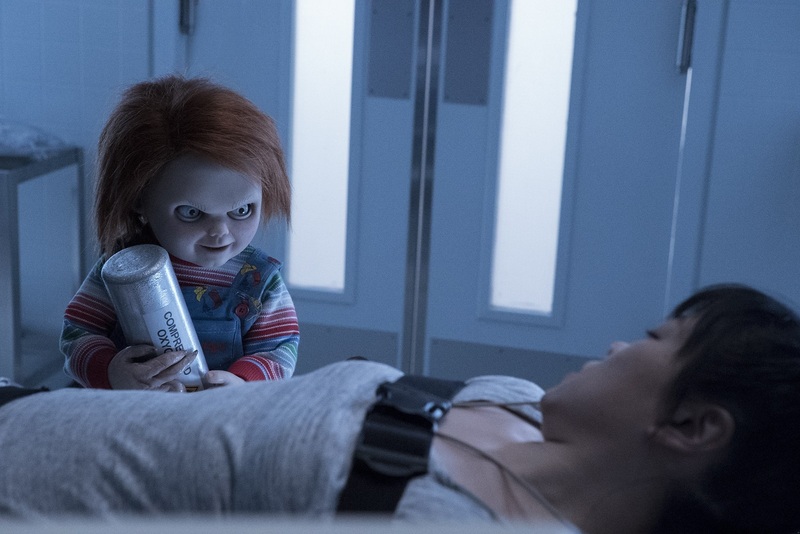 The few moments of Chucky dropping one-liners work out OK thanks to Brad Dourif, the voice of Chucky throughout the series, delivering in his usual style, but this has got to be the weakest of his pun-filled outings. As I mentioned, one of the things that Curse did really well to help reinvigorate the franchise was put Chucky into a new context. Instead of straight slasher the film played more like a haunted house/home invasion horror. This brought a new angle to the deadly doll, and helped veer the character back to something scary. Mancini appears to want to do this again by turning this entry into a mental institute horror film, but he misses hard. The psych ward that the film takes place in isn't old and disturbing, but ultra modern. It looks more like the bridge of JJ Abrams Enterprise than the location for a horror film. Maybe if Chucky was in space (hell, all of his contemporaries have been there) this would have made sense, but he's not and it just doesn't work. Chucky running around an old building full of crazy people? Scary. Chucky checking out the new Mac Store that just opened up in the mall? Not so much. It may seem like I'm coming down really hard on a straight-to-video release of a horror franchise most people aren't that into, but Chucky is one of my guilty pleasures when it's good. This was one of the first slasher films I ever saw (prompting me to shove my Cabbage Patch Kid into a corner for a few months), and as such holds a special place in my horror movie heart. With the last film actually working I was excited for the series to move forward with a new take that was scary and still wonderfully cheesy. 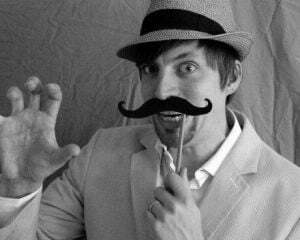 What we got was a self-aggrandizing film made by Mancini for fans that weren't clamoring for that at all.